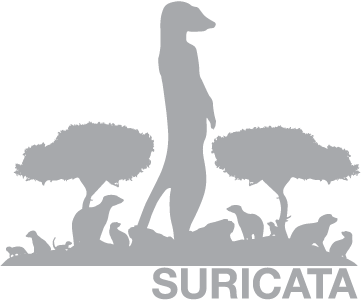 The Suricata Engine and the HTP Library are available to use under the GPLv2. The new engine supports â€œMulti-Threading, Automatic Protocol Detection (IP, TCP, UDP, ICMP, HTTP, TLS, FTP and SMB! ), Gzip Decompression, Fast IP Matching and coming soon hardware acceleration on CUDA and OpenCL GPU cardsâ€ . GPU integration allows the use of graphic cards to accelerate operations. Automatic Protocol Detection: the engine has keywords for IP, TCP, UDP, ICMP, HTTP, TLS, FTP and SMB. Users can write rules to detect a match within a stream regardless of the port the stream occurs on. This is important for malware detection and control. Detections for more layer 7 protocols are being developed. Gzip Decompression: the HTP Parser will decode Gzip compressed streams. Independent HTP Library: the HTP Parser will be usable by other applications such as proxies, filters, etc. The parser is available as a library under GPLv2 for easy integration ito other tools. Standard Input Methods: support for NFQueue, IPFRing, and the standard LibPcap to capture traffic. IPFW support will be available soon. Unified2 Output: support for standard output tools and methods. Flow Variables: it is possible to capture information out of a stream and save that in a variable which can then be matched against later. Fast IP Matching: the engine will automatically use a special fast matching preprocessor on rules that are IP matches only (such as the RBN and compromised IP lists at Emerging Threats). HTTP Log Module : HTTP requests can be automatically output into an apache-style log format file for monitoring and logging activity completely independent of rulesets and matching. Global Flow Variables: the ability to store more information from a stream or match (actual data, not just setting a bit) over a period of time allowing comparing values across many streams and time. Graphics Card Acceleration: using CUDA and OpenCL to make use of the processing power of even old graphics cards to accelerate the IDS. Offloading the very computationally intensive functions of the sensor will greatly enhance performance. IP Reputation: will allow sensors and organizations to share intelligence and eliminate many false positives. Windows Binaries: will be released once there is a reasonably stable body of code.